Ms. Caitlin Carey begins her third year as our Art teacher. As a life long artist, Ms. Carey is always looking for ways to use her talents that will benefit others. It is so important for children to express themselves creatively, and she loves helping facilitate that at St. Francis. Miss Carey taught abroad in India and has also been involved in a youth group. She loves working with children because of their big imaginations and an ability to view the world with a simplicity that often escapes adults. Mr. Rich Hurdle With over 40 years of performance and teaching experience, Mr. Hurdle has taught students of all ages and skill levels with an education in music theory, musicianship, aural skills, improvisation, composition, arranging, stagemanship, and technical training in all genres of music. Mr.Hurdle is very excited to bring Band and Orchestra to St. Francis for a third year! Mrs. Colleen Rastovich has been involved in the arts in one way or another for most of her life, particularly music, which she considers to be divinely inspired. 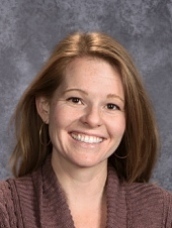 Mrs. Rastovich studied piano performance at Cleveland State University and the Cleveland Conservatory of Music. She then moved to Atlanta, where she graduated from the Art Institute of Atlanta. She has taught music in both public and private schools. She is trained in the ORFF method and is the creator of AMP (Art, Music, Dramatic Play) a cross-curriculum storyline approach to the creative arts. 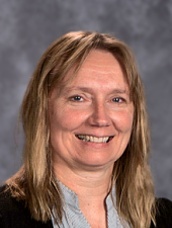 In addition to serving as Music Specialist for St. Francis of Assisi Catholic School, Mrs. Rastovich is Musical Director of St. Francis Catholic Church and Director of the St. Francis Children’s Choir. She is grateful for the beautiful ORFF instrumentarium with which she teaches, Bend’s clean air and fresh water, and the opportunity to serve God through a job she loves. Mrs. Rastovich and her husband, Rob, run Rastovich Family Farms and Barley Beef with their four children, Samuel, Alexis, Victoria, and Max. In her spare time, she enjoys painting, sculpting, playing music with her children. 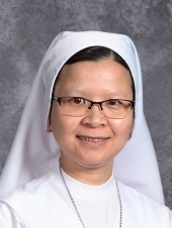 Sr. Ngan Phuong Do, FMA. I am a Salesian Sister of St. John Bosco. I am excited to be a part of St. Francis of Assisi family this fall. I was born in Vietnam and immigrated to the United States when I was 22. My teaching experience spans all the elementary grades at CCD, summer camps, vacation bible school and several parochial schools. I’m excited to have the opportunity to get to know you and share the journey of faith with you all. I hope together we can build a caring, Christ centered community. I feel that I am blessed to be able to teach. Teaching is my passion. In teaching every moment is rewarding, especially when I see students progressing from one level to the other, like a small buds transforming into beautiful flowers. Mrs. Joan Tyler is our Librarian. Mrs. Tyler is a parish volunteer with years of experience running a school library. We are so grateful that she is sharing her time and talents with us. She would love few parent volunteers who would be willing to reshelve books and keep the library tidy. Senora Elvia Padilla-Alvarado ¡Hola! 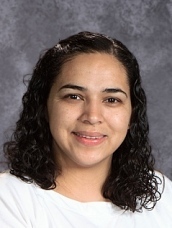 My name is Elvia Padilla-Alvarado, I am so glad I have the opportunity to teach Spanish here at St. Francis Catholic School, this will be my second year teaching here. I really enjoyed teaching Spanish and giving the children an opportunity in learning and have fun in Spanish class. Speaking Spanish is a great part of my life, culture and background. With my past experience working with children I know we are going to have a wonderful time in Spanish class. I am originally from Southern, California. I moved here to Bend, Oregon about five years ago. I am a mother of 3 and love to spend time with my whole family. I received my Bachelors of Art degree from California State University of Northridge. I also work part time at St. Francis of Assisi for Faith Formation program as well as a volunteer for Spanish RCIA for Hispanic community. 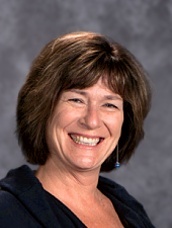 Mrs. Gail Putnam currently teaches physical education classes twice a week for Preschool through 5th grade students. She also organizes end of the year field day and occasionally substitutes in a classroom. 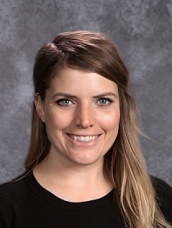 The 2018-2019 school year will be her fifth year of teaching at St. Francis school. Mrs. Putnam enjoys teaching activities that encourage movement supporting values of safety, kindness, respect and hard work, and that mistakes mean we are learning. 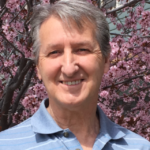 Mr. David Wolf moved to Bend in 2016 from the San Francisco Bay area. 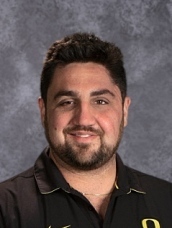 He has been a Special Education teacher for 8 years and specializes in helping his students develop and find personalized strategies to help them be successful in their academics. Mr. Wolf is also a Human Behavior Researcher and a certified Non-Verbal Communication and Body Language trainer. With his background in Education and communication, Dave is dedicated to positively influencing and empowering those around him in order to help them realize what they are truly capable of. Mrs. Allison Williams is our lunch room and kitchen coordinator. Allison is a parent in our school, Pre-K classroom aide, and a parishioner. Alli takes great pride in knowing each child by name and their food preferences.